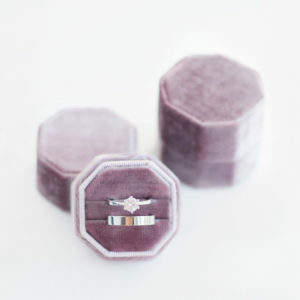 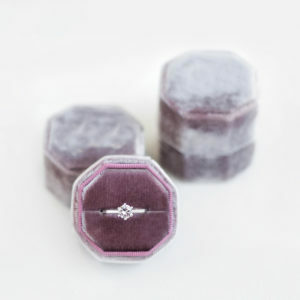 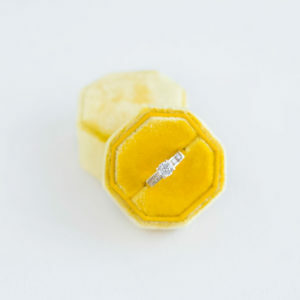 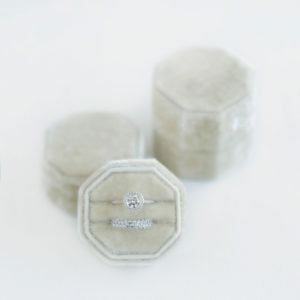 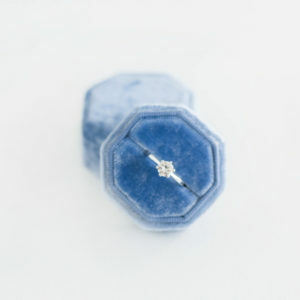 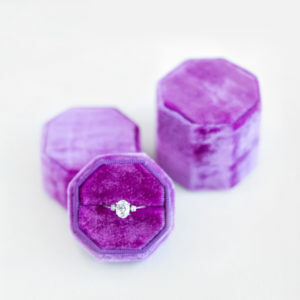 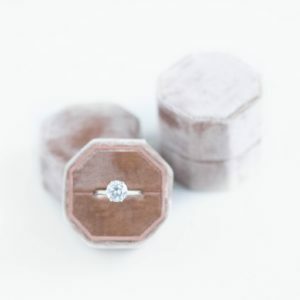 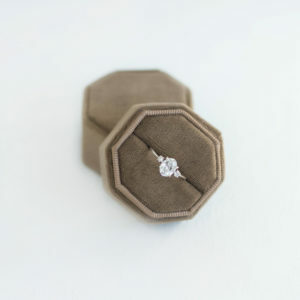 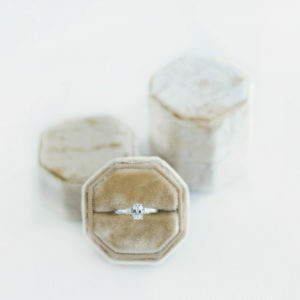 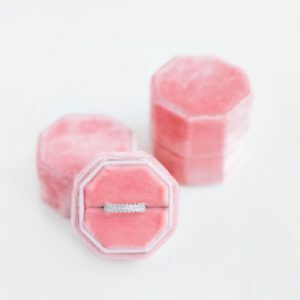 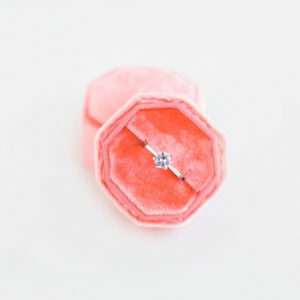 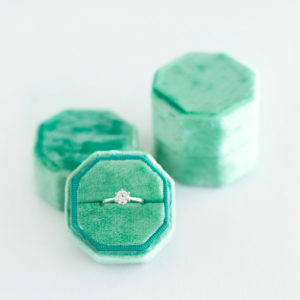 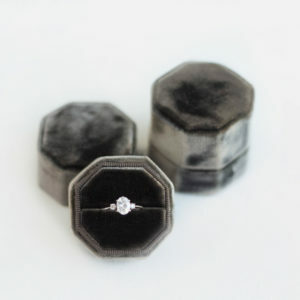 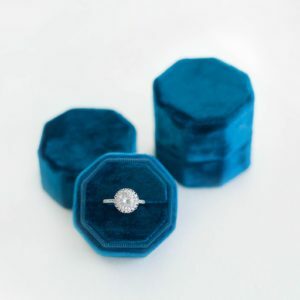 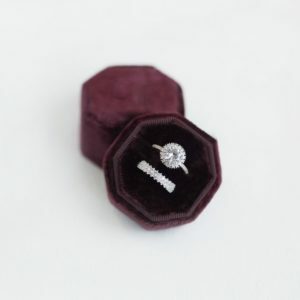 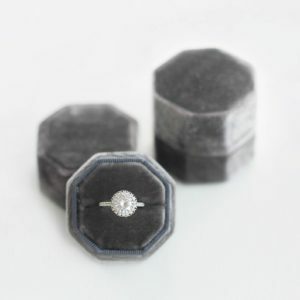 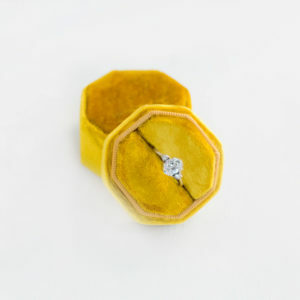 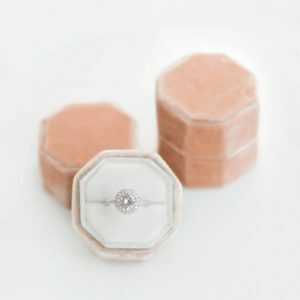 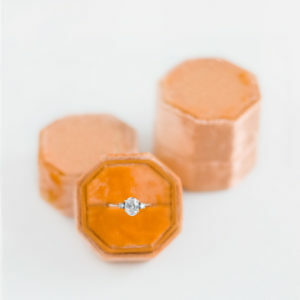 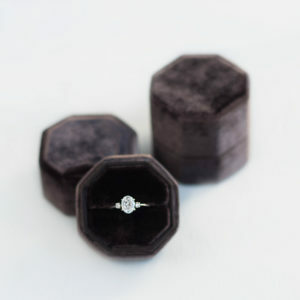 Single velvet ring box in the vintage-inspired octagon shape. 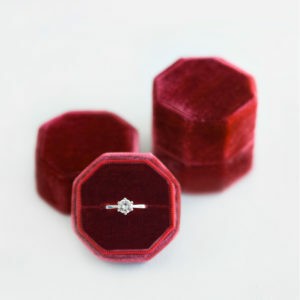 Perfect size and majestic silk velvet! 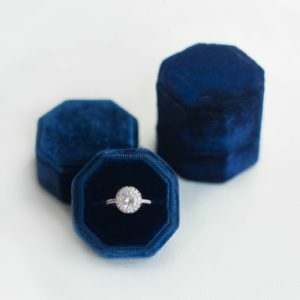 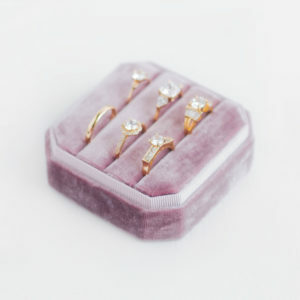 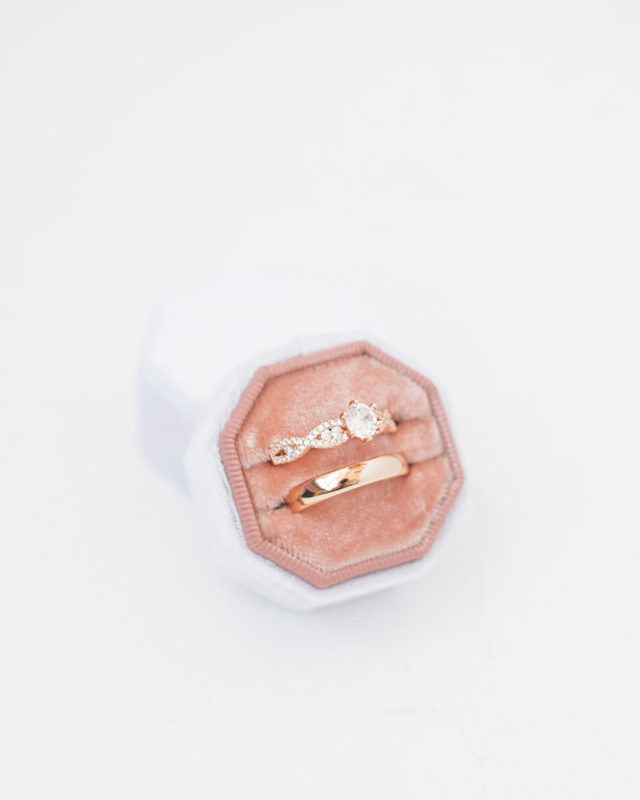 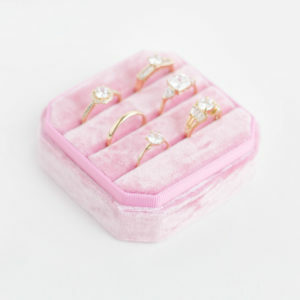 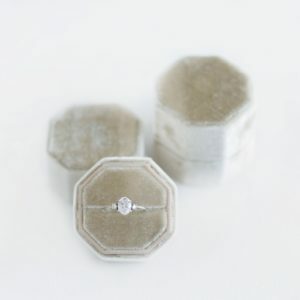 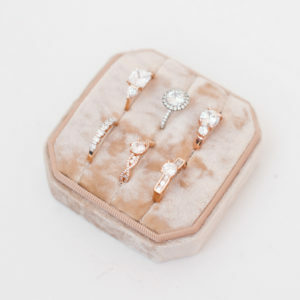 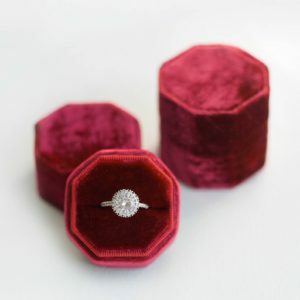 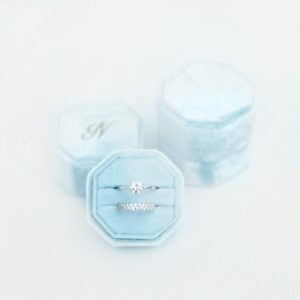 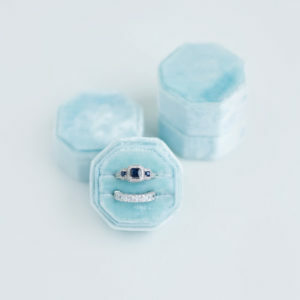 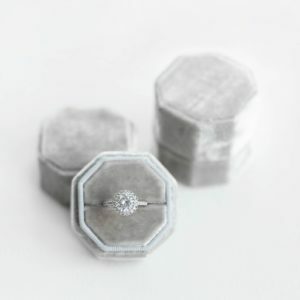 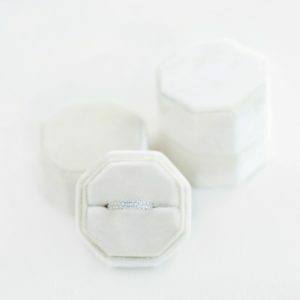 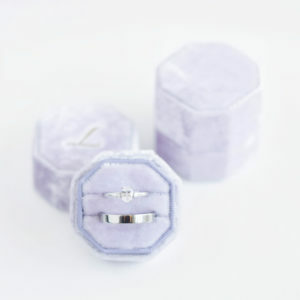 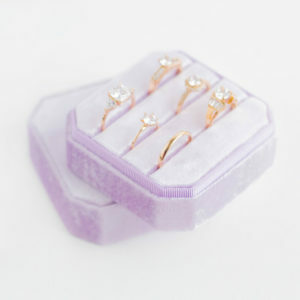 It can be an heirloom, stylish wedding detail, personalized gift or safety place to store your amazing ring! 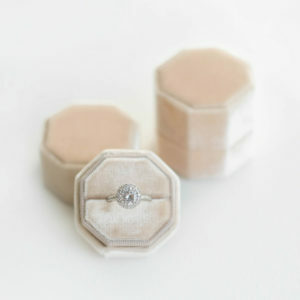 Now available timeless font designed by Gustav F. Schroeder in 1892. 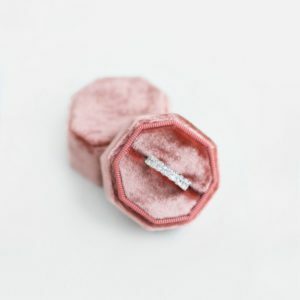 These serif typefaces are mysterious — its origins are an enigma wrapped within a riddle, indeed. 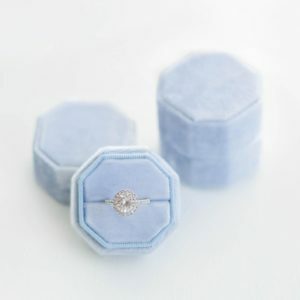 While its letterforms may be shrouded in secrecy, this design is sure to make a fine addition to your vintage style box.